4.Prepare grill for direct grilling over medium-high heat. Remove steaks from marinade; discard marinade. Place steaks and asparagus on hot grill rack; cover and cook steaks 6 to 8 minutes or until grill marks appear and internal temperature reaches 135°F, turning once halfway through cooking; cook asparagus 6 minutes or until tender-crisp, turning frequently. 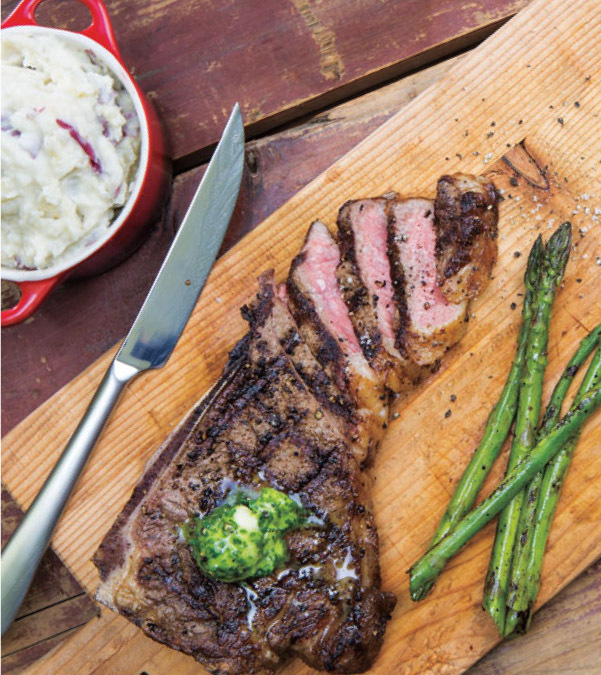 Transfer steaks to cutting board; let stand 10 minutes. Internal temperature will rise to 145°F upon standing for medium-rare.